Fibromyalgia has been a controversial condition, but if you're suffering from the pain and other symptoms it causes, it's undeniably real. The Centers for Disease Control and Prevention has found that about 2% of people in the United States suffer from fibromyalgia, but by seeking the assistance of Dr. Darin Stokke of Lifestyles Healthcare Group in Fort Myers, Florida, you don’t have to suffer any longer. Dr. Stokke’s extensive knowledge and experience make Lifestyles Chiropractic a leader in the area for chiropractic care. Schedule an appointment online or by calling today to discover the impact of noninvasive, natural treatments. Fibromyalgia is a condition that researchers believe stems from the way your brain processes pain signals. It causes widespread musculoskeletal pain and stiffness, as well as problems with memory and concentration. Often, men and women who have fibromyalgia suffer from headaches, including migraines. It can affect your sleep, causing you to have chronic fatigue. It’s also possible for fibromyalgia to cause anxiety and depression. You’re more likely to develop fibromyalgia if you’re a woman, and it tends to arise as you age. Those with lupus, rheumatoid arthritis, or post-traumatic stress disorder (PSTD) develop fibromyalgia more often. Certain viral infections, obesity, and a family history of fibromyalgia increase your risk of acquiring it, but the actual cause isn’t completely understood. How can chiropractic care help treat fibromyalgia? Dr. Stokke guides you through exercises that help improve your strength, stamina, and even flexibility, reducing the prevalence of pain and weakness while increasing your endurance. He also provides you with lifestyle advice based on your unique needs to provide you with relief from your symptoms. Additionally, Dr. Stokke performs chiropractic alignments to increase blood flow while decreasing your pain. Through the manual therapy of muscle energy technique, he contracts your muscles to decrease inflammation and pain. He also supplies you with the option of massage therapy, which targets the tissue deep within your body and reduces depression and anxiety. Dr. Stokke may also apply RockTape to the affected area or use a class 4 deep tissue laser to reduce your pain. A class 4 laser targets the site of your pain with the most powerful laser therapy currently available. Are there any at-home remedies for fibromyalgia? If you have fibromyalgia, you want to maintain a healthy weight to reduce the amount of pressure you place on your joints and muscles. Regular moderate exercise is important, and Dr. Stokke is able to devise an exercise plan tailored to your unique needs. He’ll guide you through exercises in his office and provide you with personal recommendations to work on at home. Fibromyalgia doesn’t have to control your life. 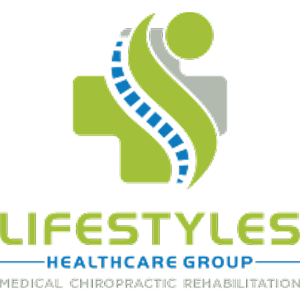 Through lifestyle changes and noninvasive treatments, Dr. Stokke of Lifestyles Healthcare Group can reduce your discomfort and change your life. Call or book an appointment online today with Dr. Stokke today.